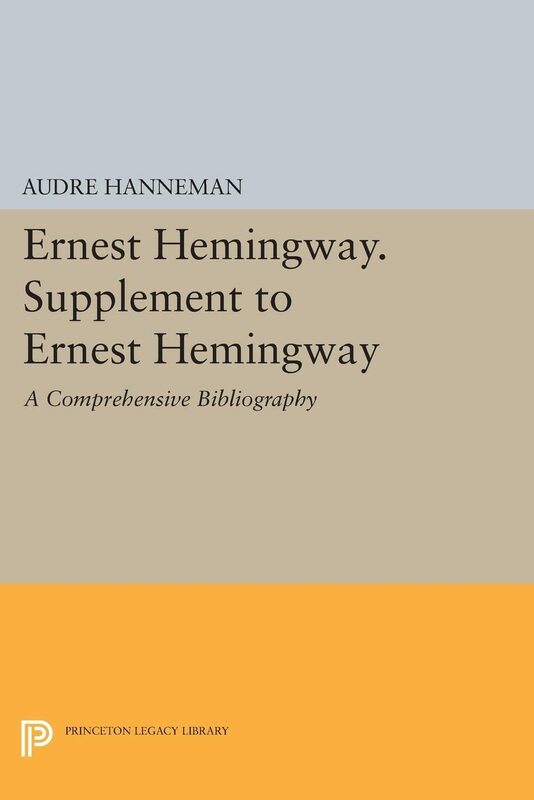 This supplementary bibliography describes work by and about Ernest Hemingway published between 1966 and 1973.Part One lists publications by Hemingway, including six recent books, new editions of previously published volumes, and work by other authors to which Hemingway contributed. Translations and anthologies are entered, as are previously unpublished writings and material reprinted in newspapers and periodicals (including articles recently attributed to Hemingway). The first half of Part Two lists 448 books and pamphlets on or mentioning Hemingway. The second half describes work that appeared in newspapers and journals, including articles, reviews, poems, critical essays, and textual studies. Foreign publications arc noted throughout Part Two. Omissions to the first volume of the bibliography have been entered in each section.Originally published in 1975.The Princeton Legacy Library uses the latest print-on-demand technology to again make available previously out-of-print books from the distinguished backlist of Princeton University Press. These paperback editions preserve the original texts of these important books while presenting them in durable paperback editions. The goal of the Princeton Legacy Library is to vastly increase access to the rich scholarly heritage found in the thousands of books published by Princeton University Press since its founding in 1905. Otros ebooks de Audre Hanneman.